Looking for a travel guide to North Park, San Diego? 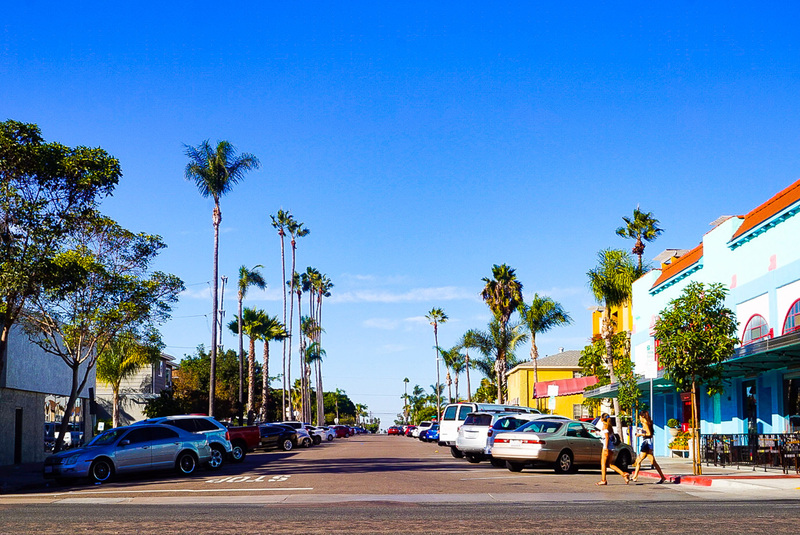 When you are tired of hanging out at the beach and watching the athletic surfers you might consider a trip to the biggest hipster area of San Diego: The North Park neighborhood. In this blog post I will reveal the most charming places to see when in North Park. Next to shopping, North Park also offers some great street art. Around every corner you will find a wall full of nice graffiti. The neighborhood is changing very fast so always watch out for new places! I guess this is the best known interior shop in North Park and rightly so. If you are looking for a small souvenir (not touristy), gift or design elements don’t look further. The shop offers everything your heart might desire and is created with love for detail. I could stay there forever to discover all the cute things! Unfortunately this shop was closed when we were around (closed on Mondays) but we did extensive window shopping. The shop offers great modern clothes for men. Good news: They also have a really nice online shop! If you are looking for that one statement piece for your wardrobe Hunt & Gather would be the place to go to. They sell amazing vintage clothing. For some pieces, you definitely need the right attitude 😉 It’s a great place to get lost in searching. Another fashion shop for man with the top streetwear brands. The owner is really helpful and knows all about the latest fashion trends. If you need assistance you are in good hands here! Most likely it will be hot when you visit San Diego so I can definitely recommend a cold brew beverage. The Nutella cold brew is a must! It’s coffee, dessert and cooling all in one. It’s also a good place to relax und discuss further steps. The coffee shop has a nice atmosphere with a clean & modern design and is a working place to several creatives. I hope this overview is useful for you. Enjoy walking around the area with its chilled vibes! What have you discovered lately in North Park? Are you planning a trip to this vibrant neighborhood? Have you seen my 10-days travel itinerary for California? Check out the details here. Or sign up for the newsletter and receive my 6-page brochure with all the information you need for your travel planning. Also, if you are looking for some hotel recommendation along your way check out my favorites places here.